This entry was posted on 19th September 2018 by WoodBlocX. Lots of plants fell victim to the hot dry weather in June and July whilst others will have flourished, by now the garden will have lost its bright and fresh glow and be looking a little be bedraggled. Arm yourself with a good pair of secateurs and set to work cutting back old growth of spent plants and flowers, remove any dead plants, cut back rapid-growing herbs such as oregano and mint, hard prune roses and weed beds and borders. Lawns will have begun to spring back to life now, mow them and tidy up bushy and overgrown edges. 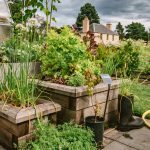 Now that the BBQ and alfresco dining season is well and truly over it's a great time to think about making updates to the garden. There’s less pressure than in spring or summer to have the garden ready for a certain time so you can move at your own pace, however fast or slow that may be. 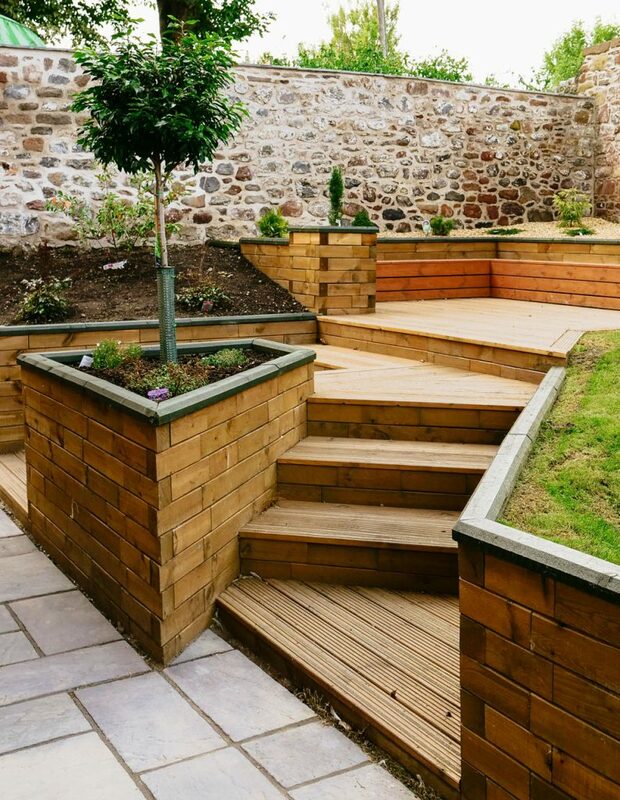 If you’re looking at starting a complete garden redesign our design team can help you by creating a WoodBlocX design that is totally bespoke to your garden free of charge. Simply call, email or fill in the quick design survey and we will do the rest for you. 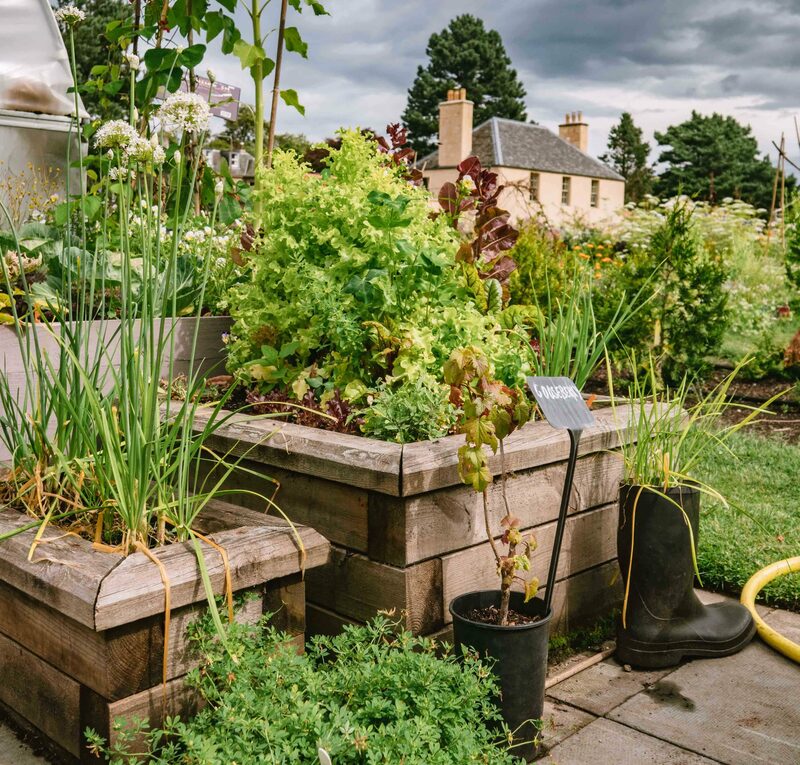 Our versatile system can be used to create fully integrated gardens that include planters steps, raised beds and retaining walls, the can be built by you saving £££s on labour costs. If you a complete garden redesign is out of the question check out our 'Transform your garden in a weekend' blog. Painting sheds and fences, cleaning greenhouse glass, trimming bushes, replacing rotten raised beds and repairing patios are all jobs that cannot wait until next spring. Make a list of the jobs you need to do in your garden and tackle them starting with the most important. Keep your eyes peeled for special offers of paints and materials at DIY stores and garden centres. 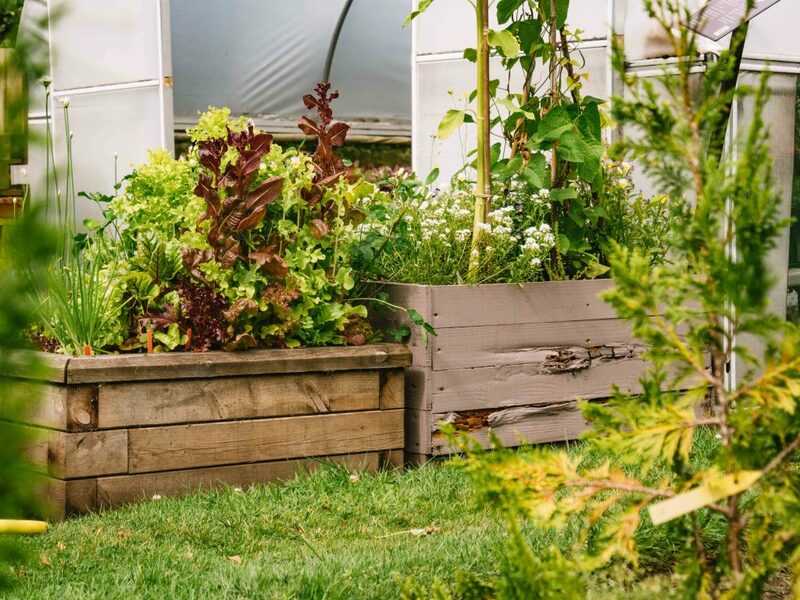 For rotten raised beds made from wooden boards or railway sleepers consider upgrading to a hardwearing and long-lasting WoodBlocX timber raised bed, no annual maintenance is needed as the wood is pressure treated making it super durable. For ideas and inspiration for your next garden update visit our website.